Tammy Hepps presents usable history to families and communities. Arriving at Zhuravno, Ukraine, one of my ancestral shtetls. Combining techniques from genealogy and history, she takes a creative and rigorous approach to rediscovering the most compelling and authentic narratives of the past. Drawing from her experience as a writer and software developer, she has the instinct for presenting the right story in the right way. For more than a decade she has been telling the history no one else is telling in a manner that connects with a diverse audience. Tammy primarily focuses on topics within American Jewish history, especially within small towns and synagogues. Her best-known research has been into the history of the Jewish community in the former steel-making center of Homestead, PA. She has presented her findings around the world, including at the Library of Congress and the International Jewish Genealogy Conference in Jerusalem. To empower individuals to do the same work, she created Treelines.com, a family story-sharing website for which she won the RootsTech Developer Challenge. She also speaks and teaches regularly about her approach to audiences of genealogists and community historians. Apart from her history work, she has nearly two decades of experience managing technology in a diverse range of industries for companies ranging from early-stage startups to large corporations like The New York Times and NBCUniversal. She earned her AB in computer science from Harvard. 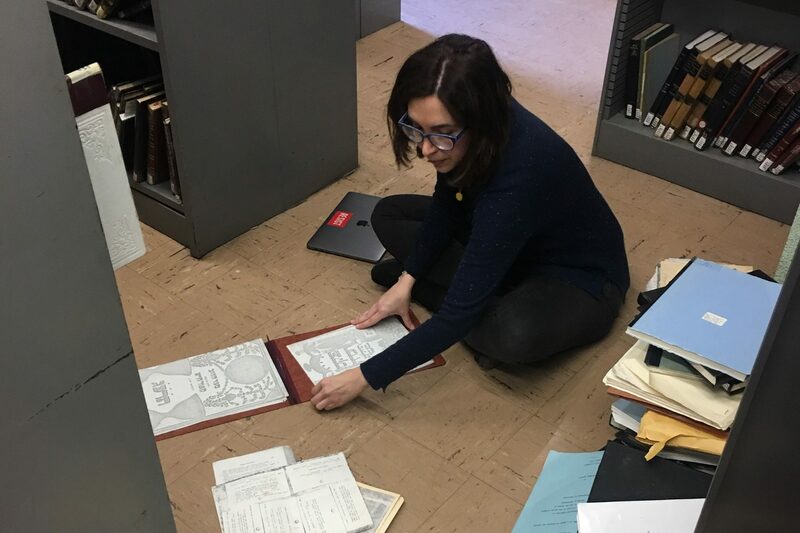 Currently, she serves on the the advisory committee for the Rauh Jewish History Program and Archives in Pittsburgh and the Board of Directors for Reclaim the Records. Her past board experience includes JewishGen, the Philadelphia Jewish Archive Center, and A.J. Jacobs’ Global Family Reunion. She is a Wexner Heritage Fellow (Pittsburgh 18) and an alumna of The Conversation: Jewish in America.